All the trees are losing their leaves and not one of them are worried. 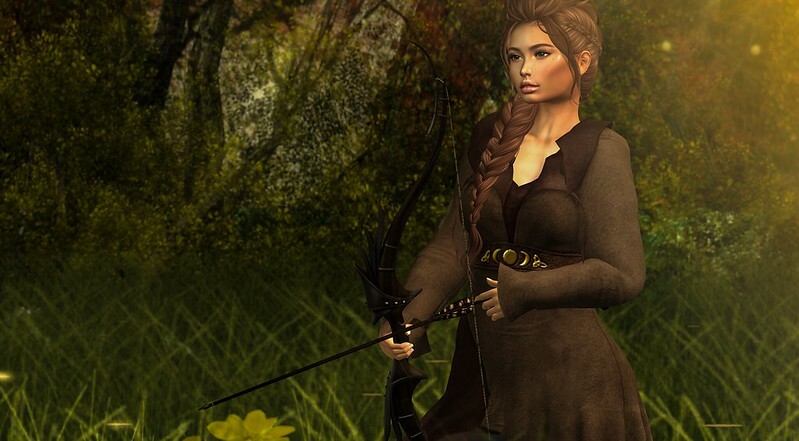 Bow: LR Weapons – Thorell Bow @ We ❤ RP. Dress: Dreaming Thicket – Witch Hazel Dress – Walnut @ We ❤ RP. Hair: TRUTH HAIR Kora (gacha). Skin: Amara Beauty – Alice. Promo sale! Previous Previous post: She wears pain like an invisible cloak. You will never see it except for her eyes. They are blue.